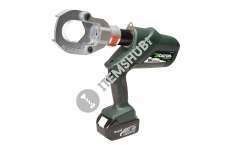 Battery-powered cutting tools from Greenlee have always represented the most comfortable and efficient solutions when it comes to reliable cutting. When it comes to cutting tool intelligence, efficien.. The Greenlee non-contact voltage detector is suitable for use with electrical outlets, wires, cables, lighting fixtures and more. It is also versatile enough for use with power wiring, thermostats and.. 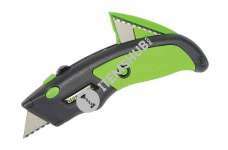 The Greenlee 0652-11utility knife’s non-slip, over-molded grip provides user comfort and safety when using the knife. 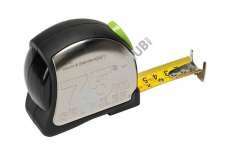 Greenlee knows different jobs require different blade lengths, so the retractable .. 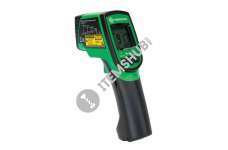 The Greenlee 0155-7MA this power return rule is designed with a compact housing that fits easily in the hand or pouch, and it comes with an easy-to-use click lock that holds the tape securely while me..
Greenlee's TG-2000 infrared thermometer provides speed, convenience, accessibility and safety when taking temperature measurements. 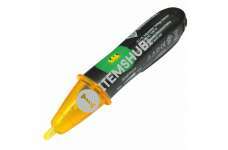 The TG-1000 features the high optical performance, measurement accur.. 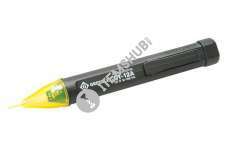 The Greenlee GT-12A voltage detector is intended to check for the presence of AC voltage, signaling the user with an intermittent tone and flashing LED. The tone can be disabled using the smart ON/OFF..